“Is Cuba safe?”, is a question that has been asked a lot in the past few months. The simple answer is a resounding YES! Doubt has spread amongst US travelers due to various factors; an openly hostile administration bent on reversing President Obama’s policies, misinformation in the news about alleged “sonic attacks,” and an unfair and inexplicable rating under the new travel advisory system. Just this past month Cuba was awarded the Excellence Prize as the safest country for tourism, at the 38th annual International Tourism Trade Fair, in Madrid, Spain. The truth is that Cuba is one of the safest destinations for tourists in the world. According to the United Nations, Cuba has the 3rd lowest homicide rate in the hemisphere, behind only Canada & Chile. Cuba’s government heavily restricts illegal drugs and guns, and they are virtually non-existent in Cuba. The crime rate is one of the lowest in the world, and Cuba is just about free of other issues such as civil unrest, war, & terrorism. In 2017 Marazul Tours took over 15,000 people to Cuba. Out of all those travelers, not one reported health issues post-trip, and not one of our travelers was hurt or injured in any violent related attack. Furthermore, many of our staff members travel to Cuba multiple times a year for many reasons and none have experienced anything even remotely jarring or worrisome. In fact, it’s quite the opposite. For many of us, our first experience in Cuba was life-changing. 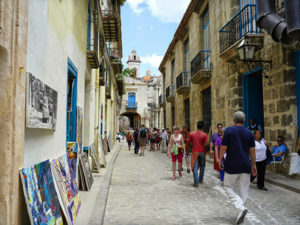 Tourism is one of Cuba’s largest industries and many Cubans depend on it as a major source of their income. As such, Cubans are generally very amicable and warm to tourists. In my personal experience, Cubans are one of the friendliest people I’ve met in my travels. Countless times I’ve been approached by Cubans to ask where I’m from, what I do, my opinions about politics and the state of the world. It’s a feeling of fascination and mutual appreciation, as well as cooperation. 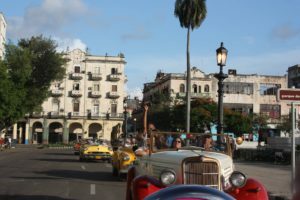 Recently, a survey of 42 tour operators who collectively took more than 17,000 people to Cuba was conducted by the Center for Responsible Travel (CREST), revealed that Cuba is always ranked as one of the safest destinations and none of the 17,000 that traveled complained of any health issues. Cuba consistently ranks highest in traveler satisfaction. Furthermore, in 2017, 4.7 million travelers including 620,000 Americans traveled to Cuba and none experienced any issues like the ones being reported on in the news regarding diplomats. In a show of solidarity and defiance, most of the travel industry has continued to move forward with travel to Cuba. From the smallest travel agencies to the largest cruise lines, hotel chains, and airlines are encouraging travel to Cuba. We at Marazul Tours are committed more than ever to our mission of being a bridge between the US and Cuba. We will keep sending interested individuals, programs, and tours, while at the same time combating the biased narrative from an administration that is being held hostage by a few Senators & Congressmen that depend on anti-Cuba rhetoric to keep their political ambitions alive. Marazul Tours expects tourism to Cuba to continue to grow in 2018, as the reviews from returning groups right now tell the same story of fulfilled curiosity, life-changing experiences, and unparalleled safety and the friendliness of the Cuban people. It’s never been a better time to travel to Cuba than now!